• What is Thermoelectric Energy Harvesting? • What is Automotive Thermoelectric Generator and why is it needed? • What are the key technologies used in the automotive industry to recover waste heat? • What are the trends in the global automotive thermoelectric generator market? 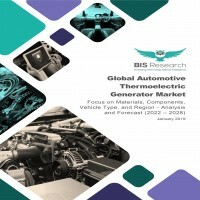 • What are the major forces that are expected to drive the demand for global automotive thermoelectric generator Market? • What are the major factors inhibiting the growth of the global automotive thermoelectric generator market? • What are the opportunities for the global automotive thermoelectric generator market? • What will be the revenue generated by the Automotive Thermoelectric Generator Market in 2022, and what will be the estimates by 2028? • Which material type (Bismuth Telluride, Lead Telluride, Skutterudite, and Magnesium Silicide) of the global Automotive Thermoelectric Generator will dominate the market between 2022 and 2028? • What are the key components used for Automotive Thermoelectric Generator and what will be its market size during forecast period 2022-2028? • What is the revenue generated by each vehicle type (Commercial and Passenger)? • What is the expected market size for Automotive Thermoelectric Generator in each region i.e. North America, Europe, Asia-Pacific and Rest-of-the -World? • Who are the key players in the global Automotive Thermoelectric Generator Market? • What is the future of Thermoelectric Generator in Automotive Industry?